U.S. Sen. Michael Bennet has introduced his response to the EPA’s mine waste spill in the Animas River. It’s a bill that would tax mining, because Democrats believe more taxes are the solution to every problem. The Durango Herald reports that Bennet, along with New Mexico Democratic Sens. Tom Udall, Martin Heinrich and Rep. Ben Ray Luján – notice there is no one from Colorado in this group – said royalties must be paid by the hard rock mining industry to pay for the EPA’s mistake. We’re paraphrasing, but that’s what it said. “After you see something like this spill into the Animas River, a policy of sitting on our hands and doing nothing is just unacceptable,” Bennet said during the (conference) call. 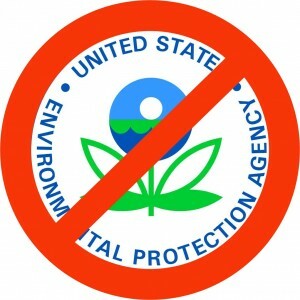 The problem is not that the EPA sat on its hands, the problem is that the EPA barged into the cleanup without the expertise of an actual mining engineer resulting in a disastrous spill of governmental proportions. The new legislation would implement a royalty fee on new mines, and it would be based on the gross income of production. The royalty level, which would be set by the secretary of the Interior Department, would be no less than 2 percent and no more than 5 percent. The bill would also set an abandoned mine reclamation fee of 0.6 percent to 2 percent, which bring in an estimated $100 million annually to contribute to cleanup of abandoned mines. Bennet and his colleagues agreed that it was time for the hard-rock mining industry to pay its fair share. Allow us to translate: The Interior Department will tax mines that are currently operating under strict government environmental rules, to pay for the EPA to “clean up” other mines that have been inactive for 100 years. This means that the cost will be passed off to consumers for products that contain ore, gold, silver, iron, copper, zinc, nickel, tin and lead – stuff that is used to manufacture cars, medical equipment, household appliances, and in building and construction materials. So there you have it. We get to pay the “fair share” so Bennet has a campaign issue, and smug Democrats can act like they solved a problem. Guess that hiring a mining engineer was just too darn complicated. Phyllis Snyder You conflate fluid minerals with hardrock. You conflate publicly owned minerals with privaely owned minerals. It would charge royalties to poate comnapnies for taking US taxpayer owned minerals from the publicly owned lands similar to what oil and gas companies and coal mining companies pay. Why are you for subsidizing prvate corporations on the backs of had working Amreicans?